This winter in Hungary was one of the coldest winters that we have ever experienced. Because of the extreme cold for so long (seriously, -10 degrees for 2 months is too much for us! ), we were all waiting for the sunny and warm spring to come out and say hi, I am back! Finally, in March the Spring has arrived and reminded us how much of a difference warm and bright weather can make to the beauty of scenery and the happiness of your day! We weren’t the only ones who missed the warm weather as over 100 hikers decided to join us and make the most of the newly returned weather! 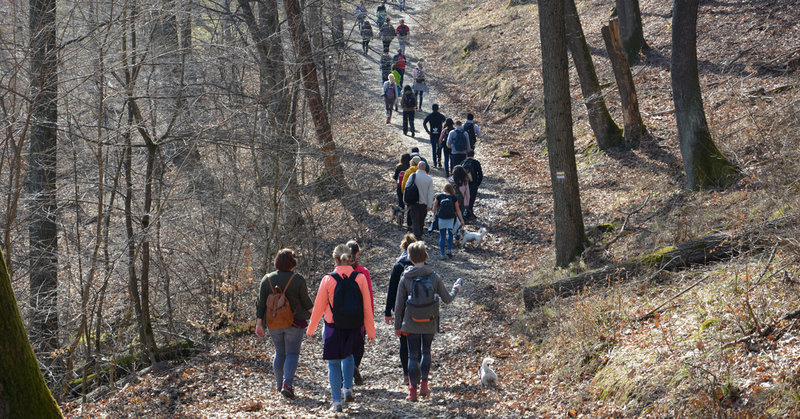 Budapest Hikers is a community where everyone is welcome to join us for hikes… including our four legged friends! 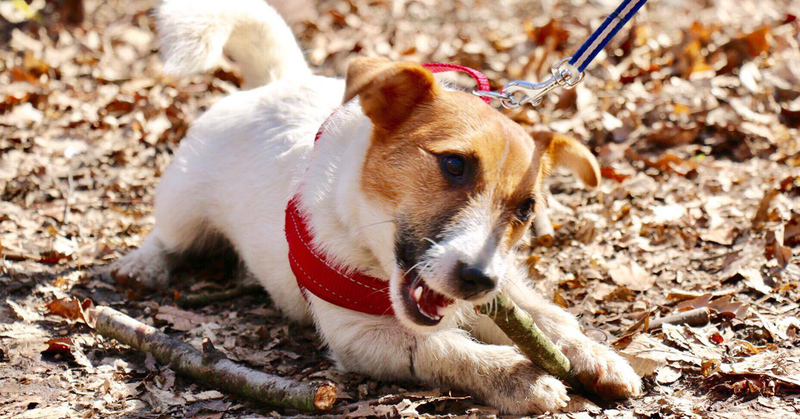 For this hike we had 3 adorable dogs join us and brighten up our day a little more with their excited bouncing around and seemingly endless energy. I think that I can say on everyone’s behalf, that by the end of the hike we had fallen totally in love with them. Even if we were a little jealous of the amount of energy that they had! Our hikes usually consist of 3 main parts: the first is where everyone gets to know each other and we normally warm up before tackling the harder hills of the day. Following this we take a lunch break, have a beer or two and talk, play some games and relax. 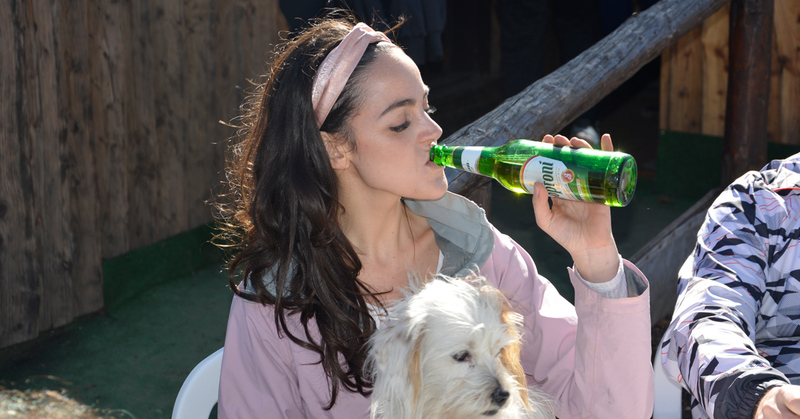 We all know how good a beer can feel after a few hard kilometers up hill! After this we normally take a much easier trail back down the mountain where we get on our private coach and travel back to the city of Budapest for a well earned Burger & some beers! 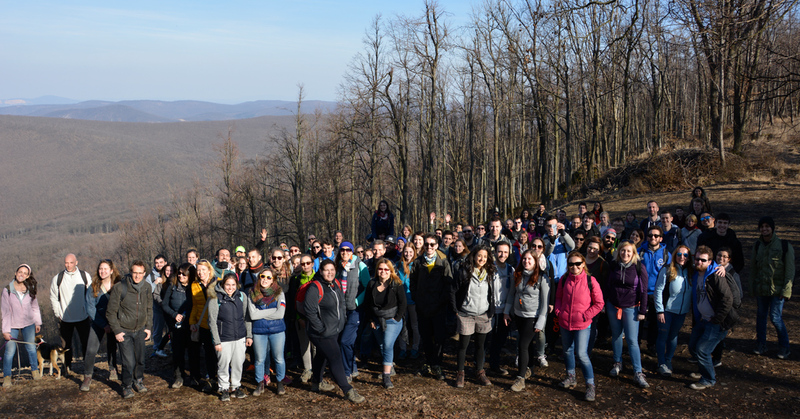 Budapest Hikers is not just about hiking, but meeting new people, socialising, having great conversations and enjoying being in the forest together. Our events are half exercise & hiking an the other half connecting and having fun! 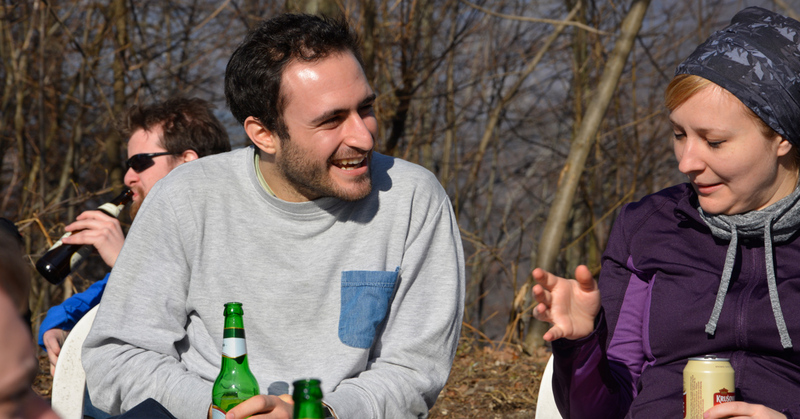 We always have a nice mix of local Hungarians, expats, nomads, travellers and erasmus students. At such a big event It wasn’t easy to fit everyone in one picture, but we did it! 🙂 This is how 100 hikers look together. Such an awesome bunch of people, huh? Now you are probably wondering how you can join us. Our next event is going to be on the 1st April. RSVP on Facebook or on Meetup and get your ticket in time to make sure that you don’t miss out our next hike! Ágnes is the founder of Budapest Hikers and is a Budapest Native. She loves hiking, exploring new places and meeting new people which is why she founded Budapest Hikers in the first place.